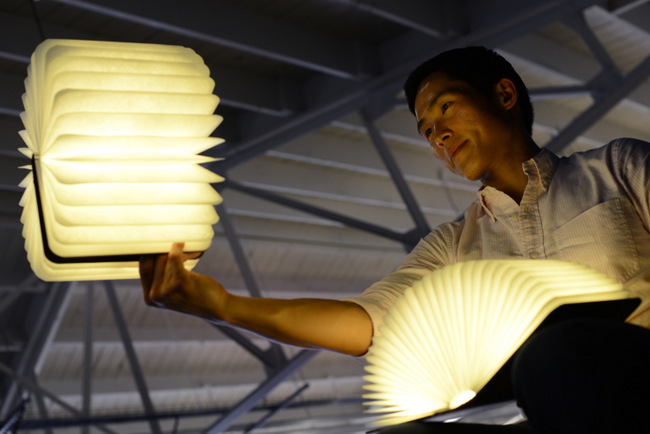 Award-winning product designer and architect Max Gunawan has brought in his Lumio lamp for a special light installation at the Nation Design Centre. Credits: Erik Castro. 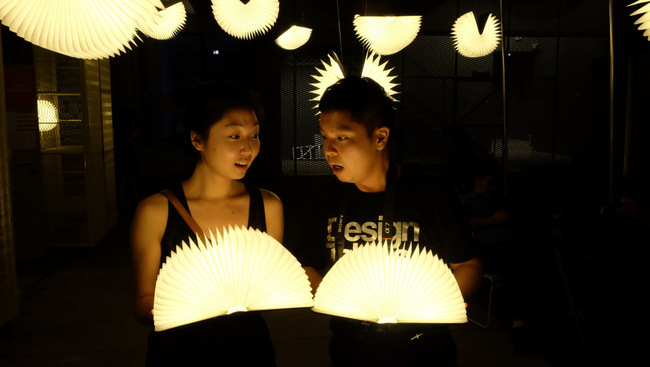 Illuminate your senses with Max Gunawan’s award-winning Lumio lamp at kapok this Singapore Night Festival. Located at the National Design Centre’s courtyard is his special light installation leading into café kapok and bar, which will be serving glow-in-the-dark iced drinks as part of the festivities. Those mesmerized by this sculptural light can also bring it home at S$385 from the kapok store, or, perhaps, wait for the upcoming Mini Lumio Lamp+. The S$385 package includes the Lumio and supporting accessories. It will be sold exclusively at kapok. 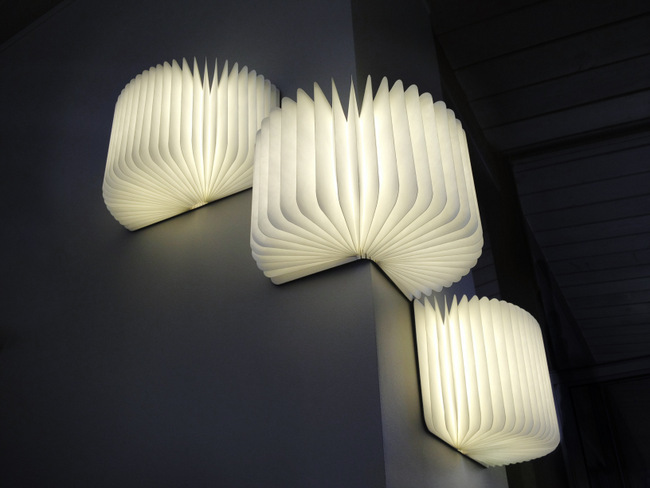 Taking the familiar form of a wood-covered book, it unveils a beautiful LED marvel when opened. The contrast adds an element of surprise; a very pleasant one at that. 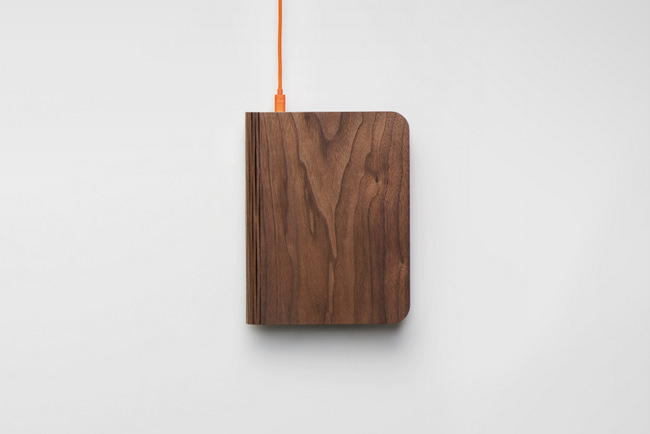 The strong magnet holding the Lumio makes usable no matter the place. Made of diaphanous pleated interior of durable water-resistant Tyvek pages, it works anywhere. Indoors, outdoors, rain or shine. Lay it out like an opened book or open it all the way like a lantern. Secured by a high-strength magnet, it stays in its shape no matter what, and can even be placed on any metallic surfaces, upside down, half open, on its side. Whatever your creativity desires and no matter the location, you can count on the Lumio to light up your “day”. It uses a re-chargeable Lithium Polymer which can last for eight hours of constant use. 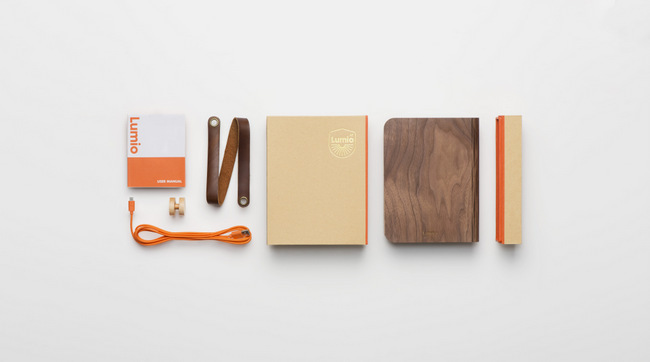 Truly minimal and streamlined in design, it is charged by a hidden USB port at the side of the “book”. It can last up to eight hours of constant use, providing you with an elegant lighting solution whether you are throwing an impromptu backyard party or reading a bedtime story to the kids. The beautiful installation gives a touch of serenity and whimsy to the Night festival and the upcoming Mid-Autumn festival. Originally appearing on the crowdfunding site, Kickstarter, it has garnered immense support even after. He had all five investors offering him deals one after another on Shark Tank and, of course, snagging the 2015 Red Dot Award for product design just recently. Finally it reaches our shore, and it is by far the end of it. Max reveals that Lumio will be launching its little brother towards the end of this year at Tangs. A smaller, pocket-sized Mini Lumio Lamp+ which not only works as a portable light source like its predecessor, but also doubles up as a portable charger. The added bonus? It will come with customisable colours. Truly melding design with function, I cannot wait for this new product to hit the stores, and see what else Max has up his sleeve. Till then, we can enjoy kapok’s glow-in-the-dark specialities under Max’s beautiful Lumio installation. The Lumio installation at kapok will be available during the Singapore Night Festival, from now till 29 August 2015 at the National Design Centre (111 Middle Road, #01-05, Singapore 188969). They will open from 11.00AM till 09.00PM daily or midnight during the festival. The Lumio lamp will also retail exclusively there from 20 August 2015 at S$385.